The 21st annual St. Petersburg International Economic Forum will kick off on June 1 and last for three days. This year’s event will be focused on bringing balance to the global economy. 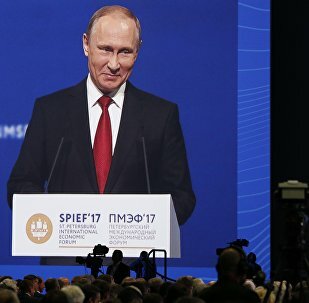 SPIEF 2016 was attended by more than 12,000 participants from over 130 states, including heads of state and CEOs of major international corporations. 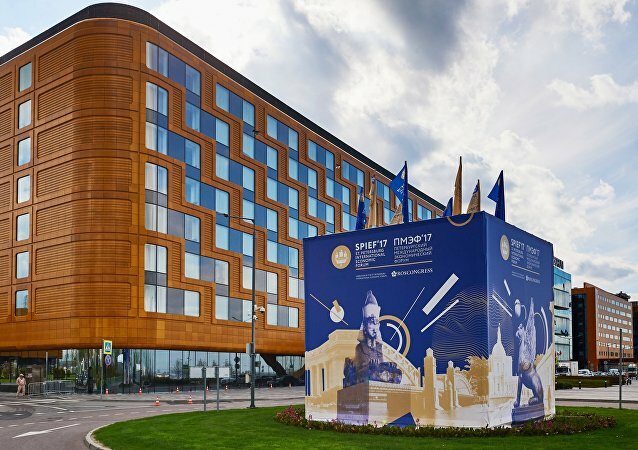 The participants of the three-day St. Petersburg International Economic Forum (SPIEF) signed 475 agreements, worth around $32 billion, according to a statement by the Roscongress foundation. 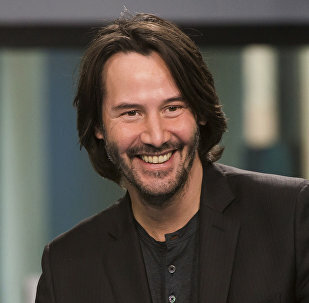 Hollywood actor Keanu Reeves will star in a Russian movie about Pippi Longstocking, where he will play the girl's father, the picture's producer told Sputnik on the sidelines of the Saint Petersburg International Economic Forum. 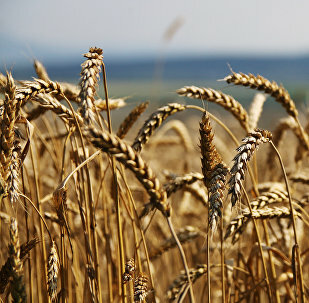 Two pharmaceutical companies with Indian investments will start operation in Russia's Siberian Irkutsk Region in September, Sergei Levchenko, the region's governor told Sputnik Saturday. 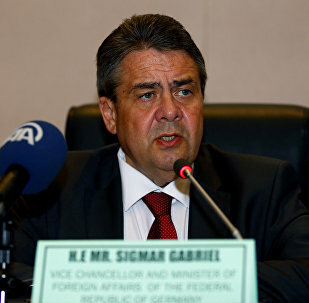 German Foreign Minister expressed hope that Normandy format talks on Ukrainian crisis would resume on the level of the heads of states. Russian companies expressed their willingness at meetings with Syrian representatives on the sidelines of the St. Petersburg International Economic Forum (SPIEF) to participate in post-war reconstruction of Syria, Syrian Ambassador to Russia Riyad Haddad told Sputnik on Saturday. 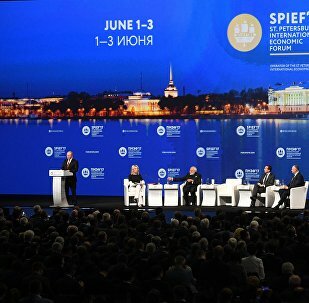 Klaus Schwab, the founder and executive chairman of the Davos World Economic Forum (WEF), acknowledged that the St. Petersburg International Economic Forum (SPIEF) has now become as well-known and prestigious as WEF, Sberbank CEO German Gref said Saturday. Russian-Cyprus economic collaboration should cooperate in the science and technology field, CIPA board member told Sputnik on the sidelines of the St. Petersburg Economic Forum (SPIEF) on Saturday. Moscow and New Delhi have not yet worked out details on when to introduce bilateral trade in national currencies, Nirmala Sitharaman, India's Minister of State for Commerce and Industry, told Sputnik on Saturday. Oxfam is willing to build a closer partnership with Moscow and believes that Russia can play a bigger role in the global humanitarian effort through funding and using its global power influence, Oxfam Humanitarian Director Nigel Timmins told Sputnik. 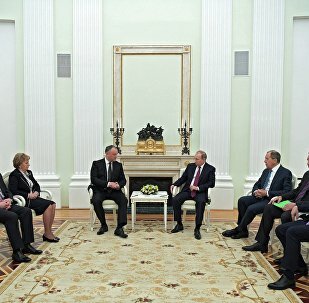 Russian President Vladimir Putin and Moldovan President Igor Dodon briefly discussed the issue of Russian diplomats' expulsion from Moldova on the sidelines of the St. Petersburg International Economic Forum (SPIEF), Kremlin spokesman Dmitry Peskov said Saturday. The economies of Russia and China could complement each other, Xiang Bing, a professor at the Beijing-based Cheung Kong Graduate School of Business, told Sputnik on the sidelines of the 2017 St. Petersburg International Economic Forum (SPIEF). Russia's labor market is stabilizing as the downturn is coming to an end, Vsevolod Vukolov, head of the Federal Service for Labor and Employment (Rostrud) said Saturday.